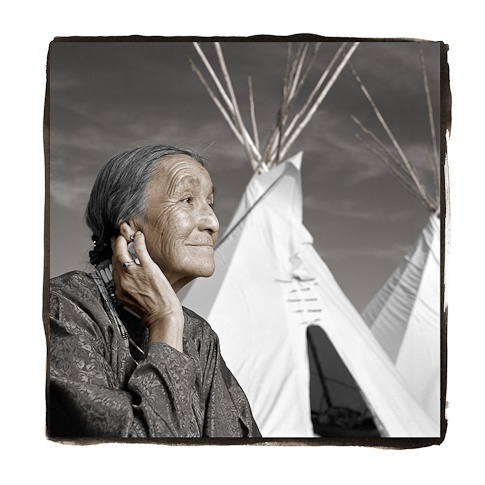 Lucille, a recent widow, is well known around Rocky Boy for the high-quality tepees she sews. Her husband had been widely known throughout the territory as an important spiritual leader. When I met Lucille, she was surrounded by some of her 42 grandchildren and 32 great-grandchildren. They proudly told me that Lucille and her husband had started college five years ago and earned their bachelor degrees together.